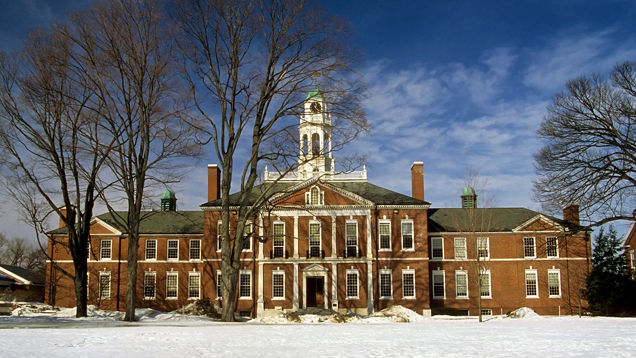 According to the Valley News, 64 Dartmouth students have been charged with honor code violations after the school discovered widespread cheating in an ethics course designed to help struggling student-athletes. Almost a quarter of those enrolled in "Sports, Ethics and Religion" this fall are said to have participated in the scheme, which involved students answering questions for absent classmates on electronic devices designed to record attendance. "I feel pretty burned by the whole thing," religion professor Randall Balmer told Bloomberg. "I've never faced anything on this scale before." Rather than flunk the accused students, Balmer ultimately decided dropping their scores by a letter grade was the right thing to do, not that any of them would know it.